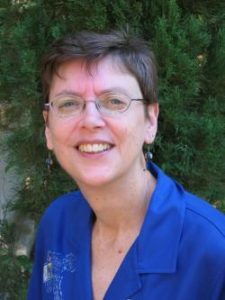 Alexis Joan Walker, born May 11, 1952, was a longtime leader of NCFR and served as president, JMF editor, program vice president, and Feminism and Family Studies founding section chair. She received her Ph.D. from Pennsylvania State University in 1979 in human development and family studies, and began her teaching career at the University of Oklahoma, where she was promoted to associate professor with tenure. In 1986, her career took her to Oregon State where she was a professor, chair of the Department of Human Development and Family Sciences (HDFS) and co-director of the graduate program in HDFS. Alexis was one of the inaugural class of NCFR Fellows (an idea she initiated with the NCFR Board of Directors during her presidency). She was also a Fellow in the Gerontological Society of America. At Oregon State she won the Carl L. Anderson Outstanding Faculty Award. Alexis was the editor of the Journal of Marriage and Family from 2002-07 and served on the editorial boards for numerous journals. Her final award, announced just a week before her death, was the receipt of NCFR’s Felix Berardo Scholarship Award for Mentoring. She died on July 8, 2012 in Portland, Oregon, at age 60, after a lengthy illness. At the time of her death she was the Petersen Chair in Gerontology and Family Studies at the Department of Human Development and Family Studies at Oregon State University in Corvallis. Read more about Alexis Walker in the NCFR History Book.